This handy Apartment will inspire you. The beautiful wood furniture provide a cozy and warm atmosphere. Close to the cathedral and at the fair! The apartment is very suitable for a city trip to Cologne, but also for a business trip to the fair. You can reach the exhibition halls in Cologne Deutz (Koelnmesse) in only 750 meters away and thus do not need a taxi or car! And as a "normal" Cologne visitors will be thrilled, because you can reach almost all attractions of Cologne on foot! This beautiful apartment is close to the Rhine (1 minute), centrally located and close to the fair. 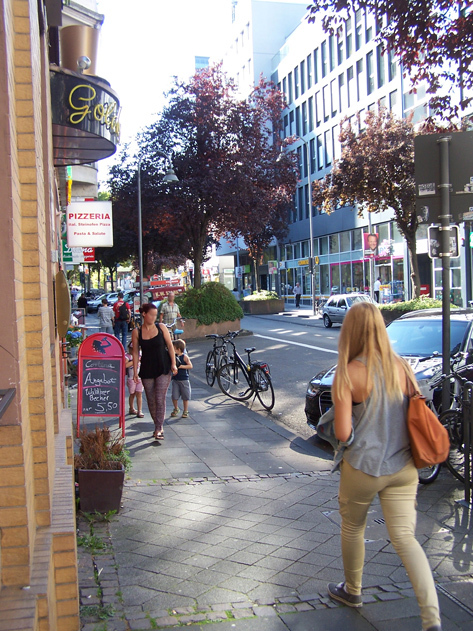 It is located next to the "Deutzer Freiheit" (shopping street with supermarkets, cafes and banks) and you can reach all attractions of Cologne on foot. The exhibition can be reached on foot! Old Town City / Neumarkt / Schildergasse / Hohe Strasse (to reach everything easily, directly from the Deutz bridge). The apartment is located in the 2nd floor of a residential house in Cologne. The address is: Adolph Straße 1a, 50679 Köln-Deutz. You can reach the cathedral in just 14 minutes walking and already after one minute on the Rhine, where they can make a relaxing walk or just see the great panorama of Cologne from our site of the rhine!